Egyptian General Trumps Miley to Win 'Time' Person of the Year Poll - trendistic.com: ever tried. ever failed. no matter. try again. fail again. fail better. 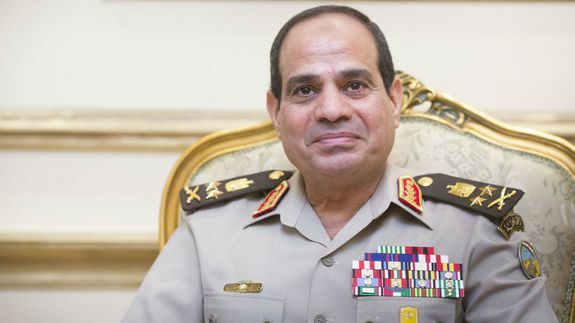 Abdel Fattah el-Sisi, the Egyptian general who played a key role in ousting former President Mohamed Morsi, has won the reader poll for Time‘s Person of the Year. To claim the title, he beat out Turkish Prime Minister Recep Tayyip Erdoğan, viral star Miley Cyrus, and NSA leaker Edward Snowden. Time closed the poll at midnight on Wednesday, and Gen. Abdel Fattah el-Sisi, often referred to as simply General Sisi, came out on top with 26.2% of the vote, for a total of 449,596 votes. The Person of the Year title won’t necessarily go to Sisi though — the magazine’s editors will have final say.